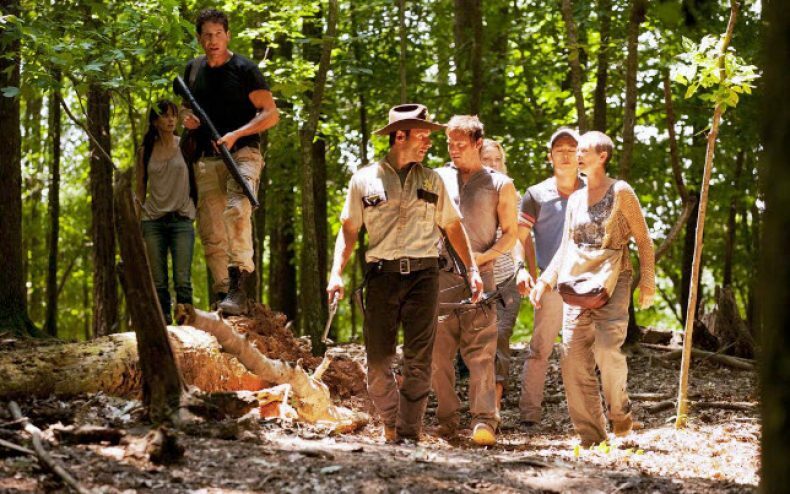 The Walking Dead did it again, but season 2 did it bigger than last year. The season premiere on AMC drew in an estimated 11 million viewers in total, with 7.3 million watching Sunday’s 9:00 PM showing. The 11 million people who watched the show is from the 3 airings the show had the night of the primere, which is astounding. The average viewership for season 1 was 5.2 million, and a year later, the fans came back and came back big. The 7.3 million people made it the most watched telecast in cable history. The show broke a 10 year old record for a single drama telecast. The Walking Dead has truly caught the eyes of fans across the world. The Walking Dead television series is based on a popular comic book where the zombie apocalypse has taken over the world, and a group of people have to try to survive and make sense of what is going on. The Walking Dead continues next week with episode 8, called “Bloodletting”. This is by far the most Electroflyin..running hot…emotions sky high epic saga i have seen till date. hats off to all the cast and behind the scenes magicians!